The normal Christian life is meant to be lived in conscious awareness and enjoyment of God’s eternal presence. Which means that we, as Christians, are meant to focus on, to thirst after, to strive for, to pursue God’s presence with all our might. 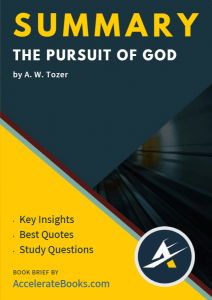 The wonderful news of the gospel is that our pursuit of God is guaranteed to be successful for two reasons: First, it is first prompted by his pursuit of us, and second because God is forever seeking to reveal himself to us. As we look to him and contemplate him we will find the welcoming and friendly eyes of our Father in heaven looking back. So come, find the insatiable thirst for God which dwells within you as his creature, and find that thirst quenched by God himself, even as it grows with every moment you draw nearer to him and he to you. 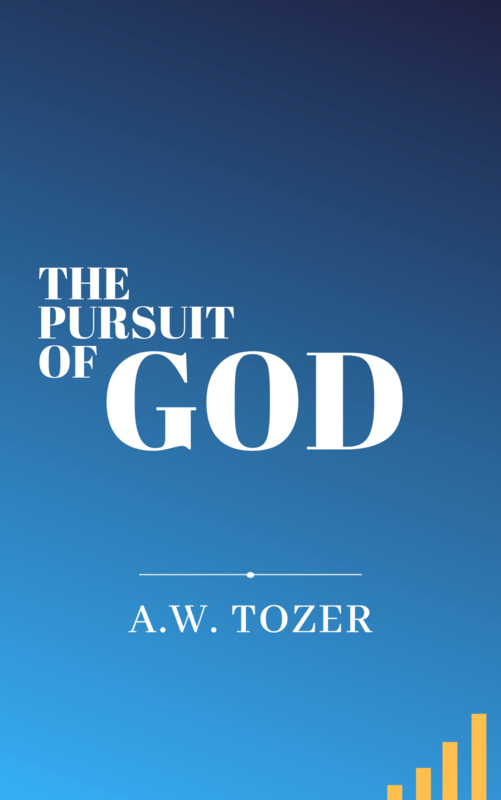 Aiden Wilson (A. W.) Tozer (April 21, 1897 – May 12, 1963) was a pastor and author who wrote a large number of books. Two in particular (The Pursuit of God, and The Knowledge of the Holy) are widely regarded as Christian classics. Tozer was converted at fifteen years old in 1914 and accepted the pastorate of a small church in Nutter Fort, West Virginia five years later. He never had any formal theological training, but was essentially self-educated, reading very widely. The major themes of his writing were the encouragement to Christians to cultivate a greater ‘God-consciousness’ often in response to his concerns that the church was in danger of compromise with “worldly” matters. He wrote a number of other books, including The Divine Conquest (1950), Keys to the Deeper Life (1957), Of God and Men (1960), and many more.